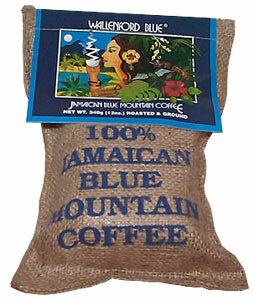 Jamaica's Blue Mountain Coffee - Awarded The World's Best! Our own - and the world's best, Jamaica's Blue Mountain Coffee is yet another testament to the exclusivity and distinctiveness of this little rock we call Jamaica. So what is so special about our coffee? Most people say its the smooth taste, rich body, incredible aroma, and the pleasant after taste. This is a coffee that is sure to please even the most particular coffee connoisseurs. The careful reaping of the beans is only the first stage of an involved operation that ensures this quality. After reaping, coffee is pulped and washed at a pulperie and the "wet parchment" that results is dried, cured, raded and then sorted. We are one of only a few countries worldwide that allows the "wet parchment" to sit and age for a minimum of six weeks so as to ensure consistency. Prior to export, the coffee then undergoes quality control measures including appearance checks and cup testing to ensure the cup-quality of the beans. 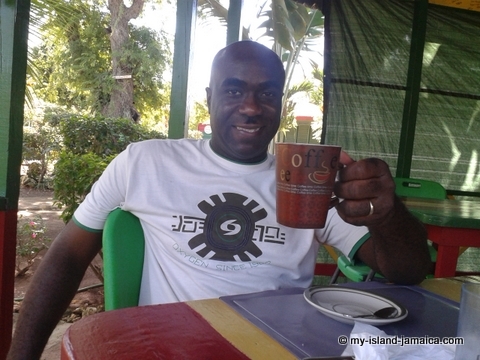 The coffee beans are so valuable that their cultivation is strictly protected by the Coffee Industry Board of Jamaica. But perhaps the larger factor that defines this super quality is Mother Nature. Towards the eastern end of the island lies the majestic Blue Mountains. It is here in these mountains that this, the finest coffee beans in the world, are grown. With elevations up to 7,500 feet, these are among the tallest mountains in all of the Caribbean islands. The climate here is cool and moist, which makes the ideal conditions for coffee cultivation. The soil is especially rich and porous, so it drains extremely well. 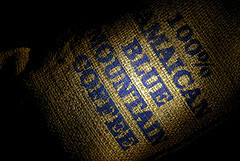 These rainforest-like conditions together, produce this, the fantastic Blue Mountain coffee that is coveted worldwide. The coffee is protected as a trademark worldwide. This means that only coffee certified by the Coffee Industry Board, the regulatory body, can carry the Blue Mountain Coffee label. It therefore means that it must actually be grown in the Blue Mountains and up to a certain level of standard established by the board. 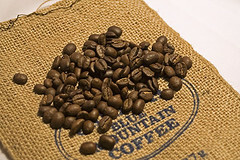 These measures are in place to assure consumers that coffee beans in other areas of Jamaica are not called Blue Mountain Coffee for marketing purposes. The Coffee Industry Board's mission is to protect the distinguished reputation of this incredible coffee for many years to come. Particularly since the internet has evolved, you can get our coffee from almost from anywhere in the world. You will recall it is a premium product and as such, there are lots of online merchants, distributor and retailers that are rushing to get their piece of the pie! You are likely to find it in any of the big grocery chains around, especially in the US and UK. But you can also cut the lines and order blue mountain coffee online at Amazon.com from your computer and have it shipped to you. Thanks to the power of the internet! You are also welcome to see my page on where to buy coffee.